We all have ears. We all have minds. Our ears hear many things. Our minds hear many, many things. Usually they are not the same things. We need to quiet our minds to help our ears hear better. The thoughts in our minds often fall like rocks into a pool of water, it makes it hard to think or listen clearly. Let your thoughts go, float away like clouds in the sky. 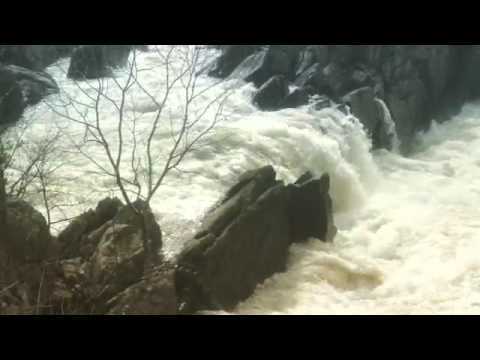 ​Great Falls is the name of this park, but these aren’t the great falls. These are just little practice falls. Sitting by a waterfall is a wonderful way to practice listening. Right now it is all one big ROAR. Sit. Breathe. Let your thoughts go, listen to your ears. Slowly you will begin to hear each particular sound. Hundreds of different streams of water falling over hundreds of different rocks then running back together. When you can hear all these separate sounds, listening to English will be a snap. Listening to a person will come naturally to you, giving your attention to what they are saying. Listening is something we can do for anybody in any language.